Otherwise, the free build plans are at the bottom of this article. We recommend starting with the wing plate. Everything will connect to the wings and will give you a great base to work from. Here is the installation of the side plates. The FT-22 Raptor features these cool things called elevons. For you newbies out there, when an aileron and an elevator love each other very much, they get together and make elevons. 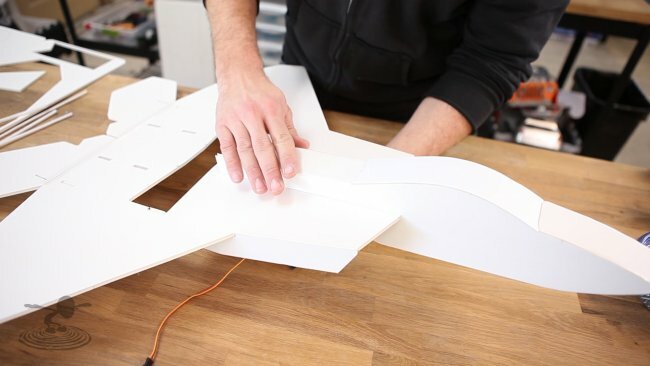 They combine the functions of both ailerons and elevators into one control surface. The channel dug out in the foam helps prevent the push-rods from flexing, keeping your controls nice and true. We used a new technique for the nose of the FT-22. It is completely constructed of foam board making it extremely rigid and durable. Watch the video to see how! 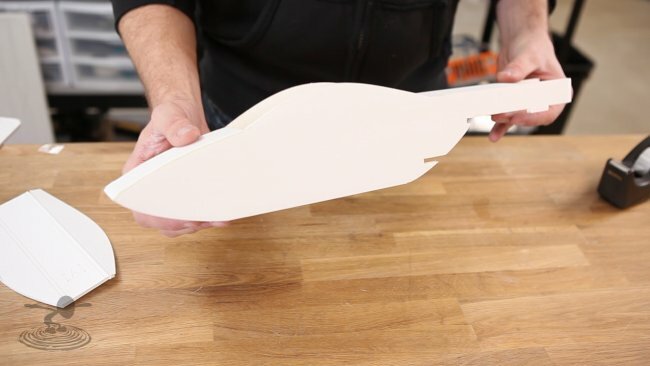 Here, Josh makes sure to measure the angle on the vertical stabilizers, and you should too! The FT-22 Raptor is enjoyable by new and veteran pilots alike. If you are looking for a first time build, or just something to break up your usual build styles, this is the plane for you! For recommended electronics, check here! If you have any tips, mods, or anything you'd like to discuss, chat it up in the forums! As always, you are the ones who make these builds possible and we appreciate each and every one of you! THANKS! Great Plane and sure am glad you are doing these,..!! 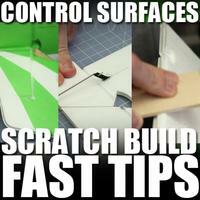 Great building tips here for anyone scratch building. Love the way it flies, keep up the good work ft.
Another great build, thanks for referring to tyoho 's method of rounding edges with a hot iron. 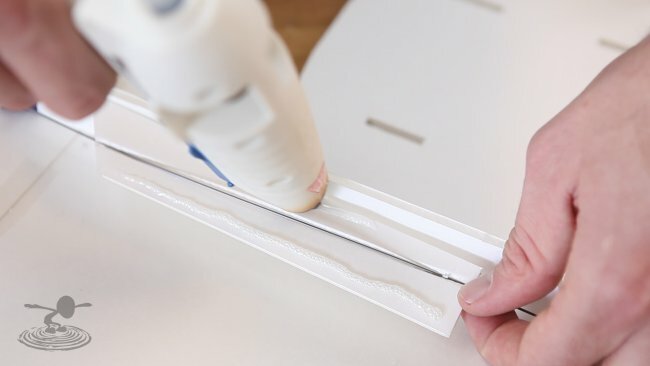 Note this works best with laser cut kits as the foam is slightly melted ,the same effect can be gotten by using the tip of a glue gun to create the indentation. Great video, good idea if you want to fly early in the morning when the grass is wet. Definitely going to give it try. Looks amazing, can't wait to get started on mine! First time josh looks HAPPY on a build video. Do what cha love thanks for e plans !! I would like to build this plane. I don't have the Dollar Tree foam board where I live. I do have access to other brands but from building a couple other planes, feel that what I have is heavier than Dollar Tree's product. Can someone tell me how many grams the Dollar Tree FB weighs? Thanks a bunch! Apx 118 gr ---has very thin paper and is easier to work with than other brands but doesn't like water unless coated with oil based polyethylene, packing tape or vinyl contact paper. You can go to Dollartree.com and have the foam board shipped to you. Outstanding job on this build. I love the inlets and storage area for the receiver, and esc. This thing has lots of room up front too. Tried the iron on the edges of my spitfire and it works really well. Will iron the edges on the FT-22 as well. Seems to ad just a tad more rigidity too. I used up the last of my foamboard on two ft 3d's I put together today. This is one of those times I wish I had picked up all the foam on the rack. Another really awesome design by flight test. I am really looking forward to getting this one in the air. Another great build video! I find them very informative and also extremely relaxing to watch, Josh always does a fabulous job. On another note, this video is much more out of focus than any of the others, which was distracting. Hi, Can i fly this with a 1700KV motor, 8x4.7 prop and a 20 amp esc? Nice! I printed the tiled plans and managed to get all of the pieces cut out of DT foamboard last night. We'll see how they go together tonight. One comment, though... on page 12 of the tiles, the belly plate was a little confusing at first because the solid line on the right side falls just one pixel over on page 13. I thought there was something missing until I realized that. No other issues I saw. 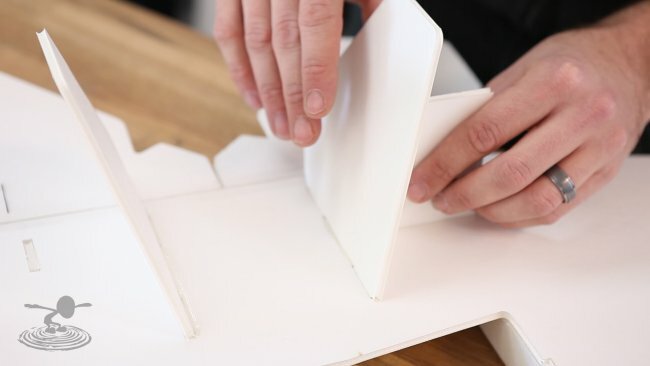 Good on Bixler and the FT crew for challenging us with new building tricks and also branching out from the swappables (though a special swappable 'pusher-pod' for this and the Versa would be sweet!). What a great plane! May be building a P-38 lightning and useing the fuselage build for the plane. Again, great design! I wish they would make a video of their successes and failures when designing these planes so we could learn along with them. Try Guillows kits, very inexpensive and quite a good variety. It's going together but I see why it needs to have up trim from the start ,at 32 inches long it has a lot fuselage sticking out the front, I would like to see a scaled down version . I have it all cut out and just glued mine together. Easy to make. Now I need to put some paint on it. Any problem with torque roll using 3s batteries ....I have a Yardbird F-22 that us very similar and that's it's only problem...flys fine at half throttle. Just started the jet and hope to maiden on Sunday. Any suggestions on getting these tiled plans to line up? Seems like they we're put together in a hurry. Take your time and sort the pages. Sounds like like you mixed them up when they came off the printer. They go together very nicely. If you don't mix them up , they lay out like a deck of cards. Hi. I'm very new to builing planes. 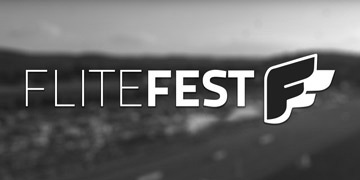 Flitetest is the reason I started it. The tutorial videos are great! I would never had started to do this without you guys! I love the show. Even with all this tutorials I need some extra help. I have some very important questions that needed for my good progression. The first thing is the base material, the foam. I think you did not covered this part enough. I'm from Europe (Hungary), and I find it difficult to find the proper matching material. What I need is the thickness (5mm or 6mm? ), the weight in gram, and the exact material type. Here what I found is the following that could work but I do not know which one Flitetest using. XPS, EPS or EPP, or EPE? Currently I have a 6mm EPP but it is very hard to work with and the bubbles are too big to make small inside cuts (long cuts are ok). My first try was a Delta swappable, and it is almost ready, but still have to make the motor mount. Again, what type of wood you are using,and what is the thickness. The last thing is the motor types. You recomended some and I got those, but some of them do not come with a motor mount plate and a prop saver. Also they not include screws. For one of the motor I had no idea how I suppose to fit a propeller on it and how to mount it to the plane because it was all backwards or something. Some items need soldering, which was not a problem since I ordered the plugs. But for other newcomers you should warn people about these little parts too and the different standards. + Recomend some battery chargers too. First everything looked cheap easy and good, but when I started to find out have many extra little things are missing it started to worry me and thinking where is it going to end. I hope my feedback helps the show, and I thank you in forward for the reply about the materials needed. If so what type of stryrofoam in use??? Am I the only one noticing that these plans once printed and put together don't fit DTF right? The biggest problem being the main body for the plane had to go on the board in a certain way to fit on the board and the rest of the parts on that poster of paper don't fit when you put it on that way. I had to put the plans together then cut the parts away from the poster I just finished putting together and then put each piece on the DTF to get them to fit. Just a pain that is easy to avoid. I did check my scale, and I have build most of the FT planes and many others from the same foam and same layout process. On the one hand I believe I did something wrong, on the other it really looks like the layout on this might have been poorly designed. That laser cutter might be getting to the crews head a little. I wonder when the last time they actually put together their plans and cut the plane out by hand actually was... I don't blame you, I would only use the laser too, but I don't own one and so I have to do it by hand and some of this isn't really doable by hand. For example, the rounding on some of the inside corners. I haven't found a good way to cut that sharp of a curve with a straight razor that is much larger than the inside diameter of the curve. I finished putting it together last night , it went together very nice and was one of the easiest builds so far. I dont use the tiled plans, i'm lucky enough to have access to a plotter at work, so that makes things easier. I got my first flight in today on my lunch break and its flies beautifully . It did need a bit of up trip and a bit more than the 12 degrees of throw than they recommended but other than that it was perfect . i used an eRC bl300 1400kv motor and a 3s 1300. I'm new the hobby, I've got less than a year of flying and this was also my first delta style plane(i dont count the 1 minute flight i had on my striker) so i would recommend this plane to a newbie wanting to try out a delt plane with some style. I just cut the easy F-22 out last night. Thanks Josh and Crew for a great site for a newbie to scratch built. Dittos on the films, instructions and great people who post. I have just one question the assembly: There was not a cut across the wing like in the kit that Josh filled with hot glue. Perhaps a reinforcement area? Bamboo, carbon or is it necessary to cut and glue? i didnt think it was necessary for the build, more for shipping purposes like with the versa wing. i didnt bother with it in my build and it worked out just fine. Thanks JeffBuch. I am just waiting for the winds to drop below 25mph. Maybe a few more weeks. Just finished the maiden of my FT-22. Man this things flies great. Still need to play with my CG a bit (I had it a little nose heavy) but it flew like it was on rails and handled the 10 mph winds around my house great. Super stable though I do believe it will loosen up quite a bit with moving the CG back a bit. Also going try a different prop. I'm running a 8x4 right now and would like a little more speed out of it so I'm going to go up to a 8x6. The motor I'm running is a tower pro 2409 turning 1600kva. Thanks Bixler for a great design. Has any weighed there speed build FT 22 without electronics? I want to see how it compares to my scratch build made out of Australian office-works foam board! Josh Bixler stated on pod cast #11 that if you fix the elevons in a neutral position (he suggests popsicle sticks with tape) and balance it. The FT-22 flies great as a hand tossed free flight glider. I built a hand toss version and it did pretty well. Just throw it into the wind. I didn't fix the elevons and it did OK. Cross winds make it bank hard and dive. Just completed my FT22 scratch build. My first project in 25 years. Not too bad...Question, How do I get my elevon throws to match up? With all the "gear" on board, the elevon throws are uneven. With full dowm control, the right elevon has more travel. With full up control the left elevon has more travel. Is there a simple way to re-align them? Or is there something I missed? Are your control horns the same distance from the hinge point. If not a slight differential can be induced. Also....and dont take this the wrong way because I have done this (recently), are both of your servos the same. I put a 9g in one side and a 5g on the other one time on accident. The rate and travel difference was very noticeable. Sorry the control horn on the control surface. Hi Josh, I plan to make this model, I really like the design, but wanted to know if I install a 2200 kv motor, 40A ESC and a battery of 2200 Mha 3s lipo?. I hope someone, if I make something, me some details. The battery will have to be as far back on the wing plate as shown in the video. Did it work? I also have parts that are heavier. got the video on my camera.. would love to share!! Almost finished with my speed build kit and I have to say that it went together better than expected. You guys have taken out all of the guess work and for that I am grateful. One of the reasons I bought the FT-22 is because...well... It looks awesome but the other reason is that my son is in the Air Force and is on the Aircraft Armament crew for the F22 at Langley AFB. I can't wait for the maiden but will have to wait till some of the snow goes away. This is the seventh design flitetest has put out that I have built. If you have access to the black foamboard it looks really cool on this aircraft. Neon yellow or pink posterboard add the perfect amount of accent to make this a neat little airplane. I cut my vertical stabilizers out of white foamboard and used sharpies to add a sunburst to them. If I had any advice on this build it would be this: cut out two of them. This thing is that much fun. I threw a pair or 9g metal gear servos in this joker and it has been truly amazing. This design is versatile and controllable. Really a good time. Forgot to add that I used .062 in wire for pushrods. I then took the guide doublers in the plans and used them as skids on the bottom of the vertical section of the aft end of the airframe. Worked out really well. Love this plane! and the scale looks are fantastic! I wish that the score cut in the video used only on the speed build kit was drawn on the plans. 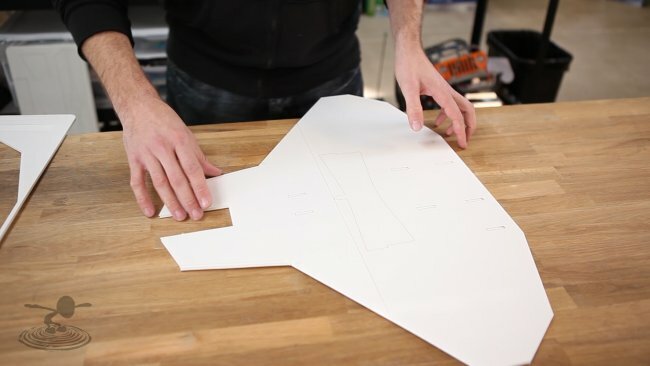 IF it adds strength to the wing why not draw it in there so when we print out our own plans we can add that "glue spare" to our scratch builds? Just a thought, the planes are great, and I am running out or storage for my fleet....always a great problem to have. just wondering if anyone in this forum has used the FlySky T6 transmitter and receiver with the FT-22. Currently I scratch built and a turnigy 1500kv with 9x4.7 prop and 20amp esc. every time I try launch the plane by hand at about 3/4 throttle it takes off then comes straight down nose first. I can't get it to fly right. i have it and the prop with the motor flies great. the tricky part is the CG. you have to get it right, and another important thing you have to do is the elevator has to be upward to a slight degree at all times. if you dont it will go down. i leaned that from experience. i have dx 8 and i programmed the elevator to be up at 3 different angles : launch/ and regular flying. Well took my FT-22 out for a spin yesterday. winds gusting up to 15 mph. on about my third pass down the runway into the wind I noticed the canopy had lifted up just a bit. I thought to myself I should land on my next pass. Before I could finish the thought the canopy broke free and got sliced in half by the prop. I said oh well and kept flying. Then after landing a first for my happened. Went back to my truck pulled the battery out and swapped in a new. Began checking all control surfaces like I do before every flight and my left elevon would only go down. First ever stripped swervo gear in my 3 years of flying. SO DO I USE A NORMAL PROP BUT JUST REVERSE IT SINCE THE MOTOR IS NOW REVERSE OR SHOULD I INSTALL A PUSHER PROP ???? You can reverse the two hot wires on the motor, effectively reversing rotation of the motor. I REALLY WISH these plans had measurements on them. Even wingspan seems to be missing off this one. Consequently I seem to have made a perfect job of constructing one at 95%: out of Depron. My printer seems to have played a little trick on me + I must be an idiot. Oh well, let's see how it flies. Hi all, i have a question, for some reason my plane, including electronics without battery came up 400g. i'm using 2826 1900kv motor with 8x6 prop and the plane doesn't fly. it barely fly on full throttle. can anyone help? i don't know how the plane came up so heavy, it's made out of kappa board, i think it's almost the same as dollar tree board. Any ideas??? Hobby people 2212/09 1250kv.....or Eflite Park370 1080kv because I dont want much speed? GREAT VIDEO GUYS!! I have been flying my blade mqx quad for years and i jus ordered the ft-22 raptor and i was wandering if i would have to get a new NICE remote to be able to fly it or if i could use the the controller from my quad its a decent controller. so would i have to get a new controller for the plane or would it bind with the ft-22 raptor just fine. thanx for the info on the raptor! 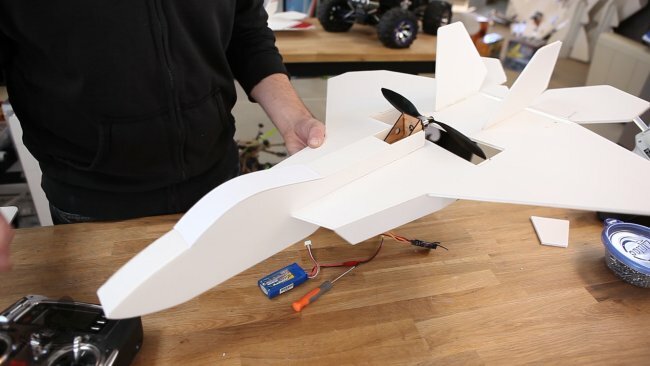 I am new to scratch builds and not too knowledgable in motor/prop specing. Can someone tell me if a turnigy 2826/6 2200kV with 6x4 prop set up would be OK on the FT22 as an intermediate flyer or would a prop change be recommended and if change is recommended, to what? Has anybody tried the FT Elements thrust vector on this one? I am planning on building one that has vectoring thrust. Any ideas, suggestions or stories? Just scratchbuilt the F-22, flew the maiden and was immediately impressed! Now, it was a calm day but this thing flew straight as an arrow! My best maiden of any plane yet! No film of the big event (no camera) but I'm VERY happy of the flight! It's a straight shooter. Build one for yourself. Me too, scratchbuilt F22 out of Depron, accidentally at 90%. Maidened with the smaller motor and 2s 500mah, VERY LIGHTWEIGHT. Flew very well and was happily manageable, and I am a beginner, in 10mph+ gusting winds. Some difficulty getting the DX6i programmed. Wind penetration was, unsurprisingly, a real challenge. Gosh those elevators have to set well up to glide! I am going to change up to some Zippy Compact 3s for the 11.1v experience. In Depron, various strengthening was required and the nose construction had to be approached differently. repairs are VERY easy though. I WISH FLITE-TEST WOULD ACCEPT THE CHALLENGE OF DOING SOME DEPRON BUILDS, or are they chicken? 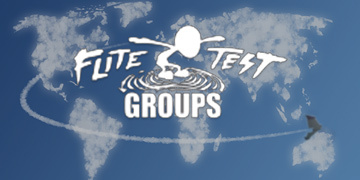 Hello Flite Test bros , love your work !! Looking at making up the Raptor - wonderful you guys do a full PDF of the plans . Question , why not EDF ? no worries dragging the prop on landing ! And also , there seems to be a lot of waste material on your sheet , how about a second nose assembly as it would be of some use eventually !!! Keep it up ! What an incredibly fun plane! 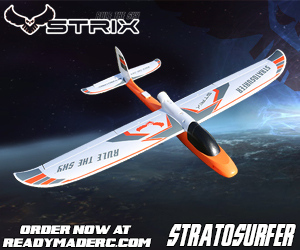 Builds fast, and flies GREAT! You guys rock. It flies great. When you crash nose takes damage but nothing happens to the body and electronics. I made another model with stronge nose and when I crashed it body was completely broken. It is a good model it flies like a bullet. 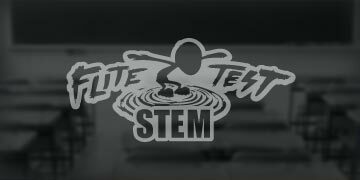 Thanks to the Flite Test! someone should make a huge edf f 22 scratch build. Just received the speed build kit today. It went together super easy and is better quality than actually scratch building it. I can't wait to fly it tomorrow. Which is the measure of the width of the foam? 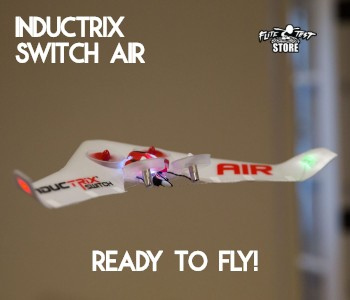 Can you run it with a blue wonder and a 8x3.8 prop and a 3s battery 1300 mah battery? Im running the park motor you guys suggest an 8x6 prop and a 1500 mah 7.4v and i cannot get it to fly at all. At full power when i hand launch it just nose dives to the ground in like 3 feet. If i hold back pressure at all it just falls to the ground as well. I am not sure what to do. this was my first scratch build and i was really excited but i cant get it to fly at all. I have already broken 3 props just attempting to get it in the air. Check your prop as it may be on backwards. The prop size indicators on the prop hub should always be facing forward regardless. Check the three leads from your motor to the ESC. You may need to switch any one of the three wires around to get the pusher effect of your motor. Im new to this so i would like to know weather it is possible to fly tge f22 successfuly with a 1300kv motor and 1000mah 2s battery. 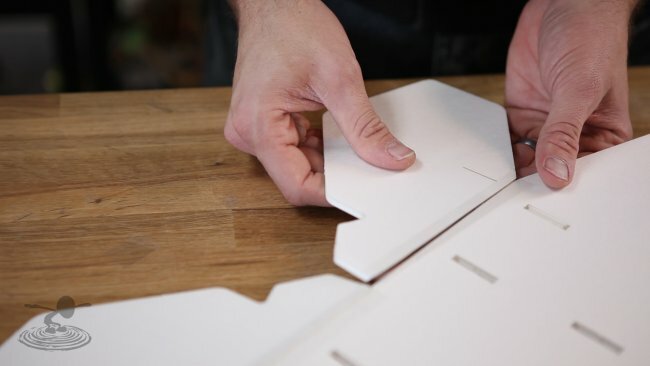 I would like to suggest adding foam board doublers (a total of four), two to each side of the inside of the nose cavity from the front of the canopy pod to the front of the nose. 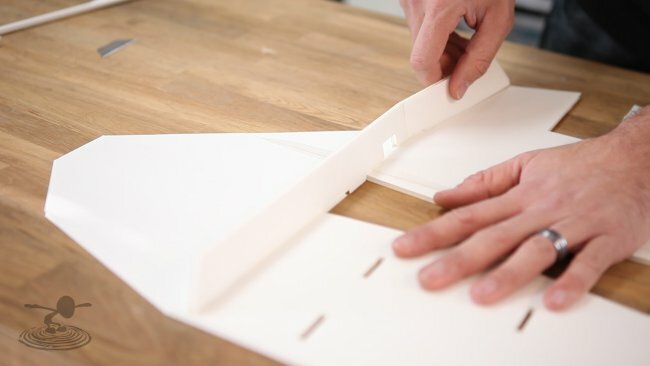 Hot glue these in place, and then add (hot glue) vertical foam board bulkheads at third points between the fuselage doublers for stiffness. 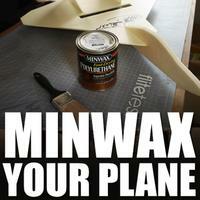 This will significantly strengthen the nose of your plane only adding a slight amount of weight. I did this after my F-22 had an accident with the ground last week, though not too high off the ground. The nose got quite a bruising, this the repairs (mod). Now the nose section of my F-22 is super strong and it flies great. Another suggestion is to add two horizontal bamboo skewers thru the fuselage and removable canopy pod to hold it in place (no taping required). Just place one skewer near the front and one near the rear of the canopy. Be sure to add a short piece of fuel tubing to the ends to hold the skewer in place and prevent slippage. I had a similar situation as you. My F-22 wanted to veer to the left real bad when hand launched. I discovered that I had a warped wing. Thus acting much like an aileron that made the plane want to bank to the left and nose into the ground. I look at the plane from the nose to the tail and saw the warp in the wing. I gently applied pressure to the wing tips in the opposite direction (up/down) and corrected the problem. After you try this, be sure to look again (front to tail) to see if the warp is gone. You might also check your CG. My plane flies like its on rails now. Thanks for a great plan, keep up the great work and videos. I just completed this relatively simple scratch build here in Oz. I use the local foamboard, which from past experience is a little heavier. However the build with just servos and nothing else came in just over FT spec at 240g. Previous builds I have done have all required more nose weight to get the CG right. This time however it is the other way round. I'm using a smallish 130W Turnigy 2627 1200kV motor with an 8x6 prop. I find I have to have the battery (1000mA 3S 100g) stuffed right back in the fuselage, not in the spot under the canopy. That said, it flew very well. My throws were too big, so was quite twitchy. I felt you needed a good bit of speed, but it does fly slow ok which makes landing gentle. As others have said, to mantain level flight you need a little bit of up-elevator. Does this also work with a 4S 14.8V 2200mAh build? 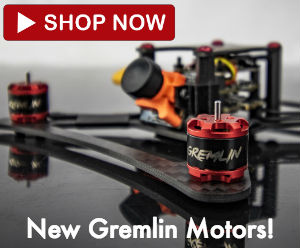 Does this also work with a 4S 14.8V 2200mAh, 30A esc and a bigger motor? Because that is what I have left. My son really like the looks of this. I like the fact that the prop is in the back so maybe less broken props. We tried to get started with the FT Flyer but lost too many props and spent too much time rebuilding to get any good at flying. Would this plan be good to learn on? This is so fun! I have built multiple F-22s and they are all awesome. 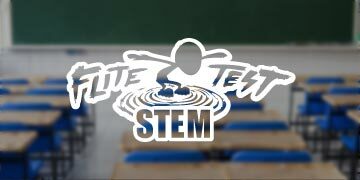 Good job Flite Test. Just got done with mine and it looks awesome. One major problem, it will not fly. I am using parts off an old plane and wondering if this would fly with a 940kv motor with a 8x6 prop, and a 2200ma 3s battery. Any help would be appreciated. Hi guys .any ideas why i cant get the plane to fly it keeps crashing and i rebuilt it 3 times. I used hextronics 24 gram 1300 . i used the 9x4.7 .Does any body have any suggestions.I am so bumbed. I used 1400 kv blue wonder motor with a apc 7x4E prop. flew well but not enough power to do loops or rolls very well, kinda slow. going to change motor and prop for faster flight. Hi, I'm a big fan of Flite Test. I used Turnigy D2826 2200KV motor with 5x5 prop. I'm wondering how to do the thrust compensation in pusher prop style plane. down or up thrust? left or right thrust? is it enough to only give elevator a bit of upward position? Thanks a lot. Josh and friends!! Hi everyone. 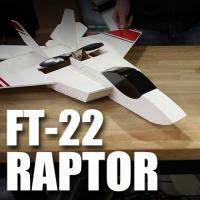 I have watched both the FT 22 Raptor and the FT Mini F22 Raptor build videos and can't find the free plans for the FT Mini 22. 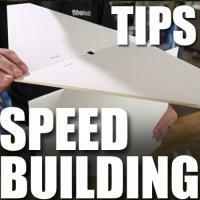 I've found the speed build kit but prefer to scratch build like my previous FT planes. If y'all have a link to the FT Mini F 22 Raptor, please post it. Thank you! go to the build video of FT Mini F22 Raptor, you will find the link for free plans there. Great plane, my friend bought and built it, then decided it was to complicated for him to fly so he gave it to me. 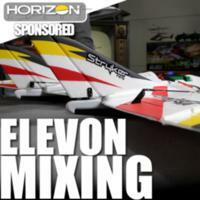 Once I set up the elevon mixing with my Spektrum DX6i (extremely simple to do) I went out and it flew amazing. Its first flights were with a regular prop on backwards, this drained the battery quickly but flew fine, just a little slow. This was my first ever wingtip launch and it was much easier than I had previously expected. Great plane, highly recommended.